In IMAX, there is nothing more amazing than the world around us. From the deepest ocean trench all the way to outer space, we not only take you places you’ve never been, we also show you familiar places in a way you’ve never seen. Only through the immersive quality of The IMAX Experience® can your senses be so overwhelmed. 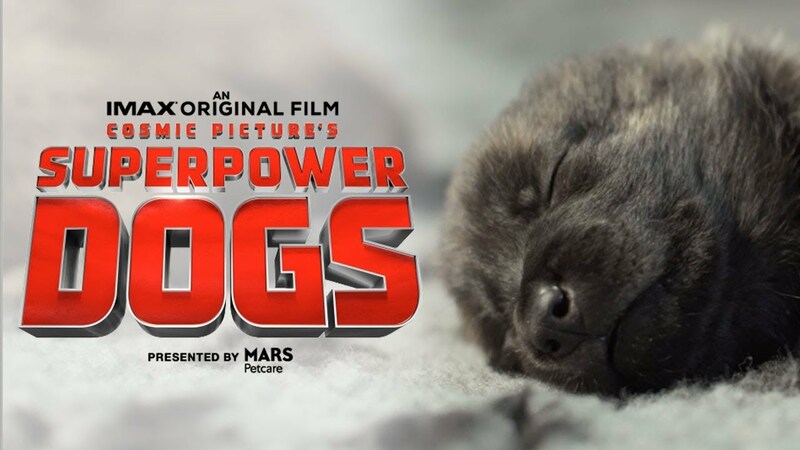 IMAX, Cosmic Picture and Mars Petcare are thrilled to announce that the IMAX original documentary, Superpower Dogswill be narrated by Chris Evans. Evans is best known for his superhero role as Captain America in the Marvel Cinematic Universe. Superpower Dogsfeatures six heroic dogs who will take the audience on a thrill-seeking adventure around the world. From an avalanche rescue to saving endangered species, these animals will use their real-life powers to make the world a better place. Get a sneak peek of their real-life “superpowers” in the official Superpower Dogstrailer, featuring Chris Evans. You can experience Superpower Dogsin IMAX theatres starting March 15, 2019. Superpower Dogstakes audiences on a journey around the world to meet incredible dogs and showcase their extraordinary real-life “superpowers”.